Chief Guest for the prize distribution ceremony, Shri. Vishwajit Rane Minister of Health, Govt of Goa., Chairman of DCT’s Shri. 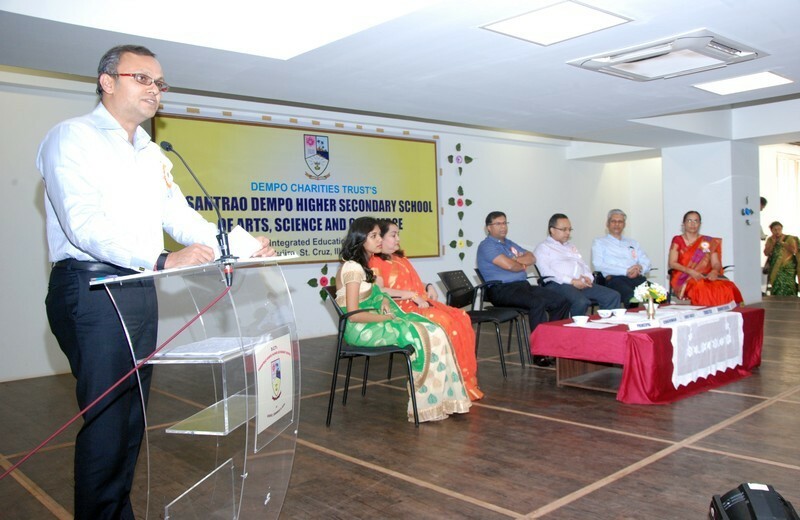 Srinivas Dempo, Trustee of Dempo Charities Trust, Shri. Yatish Dempo, Administrator of DCT’s Shri. Rajesh Bhatikar, Principal Mrs. Rupa Khope, Vice Principal Mrs. Rekha Keni Gurrala, Students Council in charge Mrs. Supriya Angle and General Secretary Ms. Pallavi Betkikar. Chief Guest for the prize distribution ceremony, Shri. Vishwajit Rane Minister of Health, Govt of Goa, addressing the gathering. Also seen the Chairman of DCT’s Shri. Srinivas Dempo, Trustee of Dempo Charities Trust, Shri. 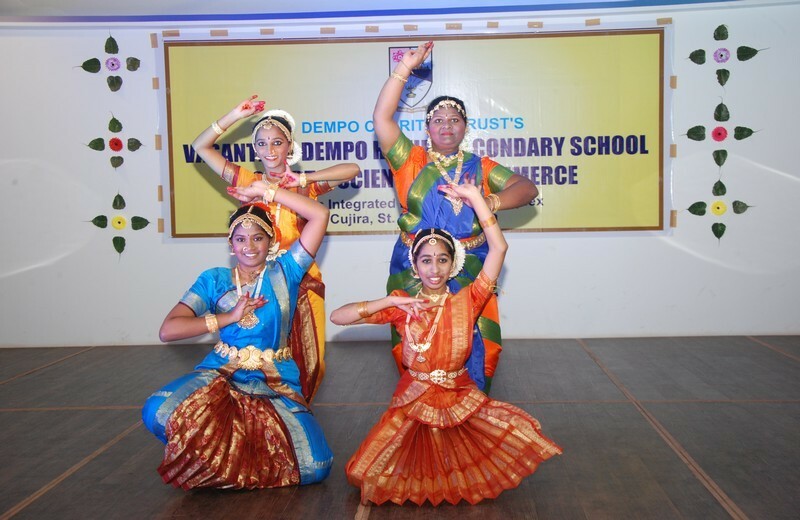 Yatish Dempo, Administrator of DCT’s Shri. Rajesh Bhatikar, Principal Mrs. Rupa Khope, Vice Principal Mrs. Rekha Keni Gurrala, Students Council in charge Mrs. Supriya Angle and General Secretary Ms. Pallavi Betkikar. The Chairman of DCT’s Shri. Srinivas Dempo, delivering the welcome address. Also seen Chief Guest for the prize distribution ceremony, Shri. Vishwajit Rane Minister of Health, Govt of Goa Trustee of Dempo Charities Trust, Shri. Yatish Dempo, Administrator of DCT’s Shri. Rajesh Bhatikar, Principal Mrs. Rupa Khope, Vice Principal Mrs. Rekha Keni Gurrala, and General Secretary Ms. Pallavi Betkikar. 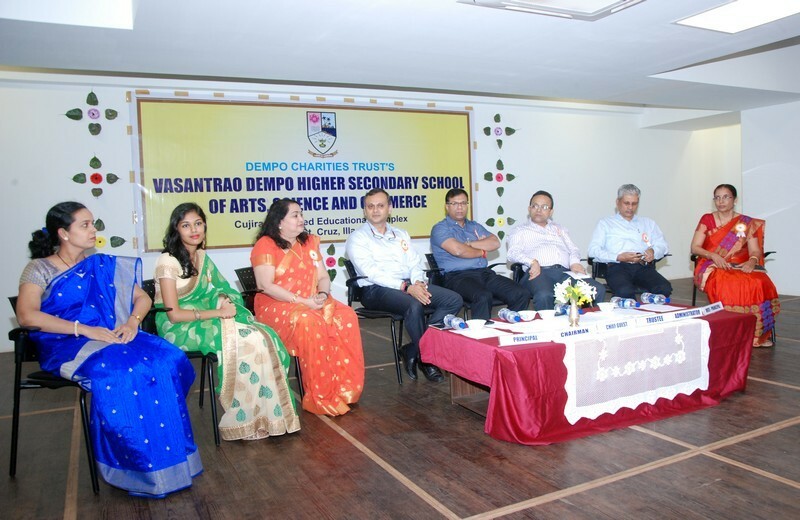 The annual prize distribution ceremony of D.C.T’s Vasantrao Dempo H.S.S. of Arts, Science and Commerce, Cujira, St.Cruz, was held recently in the Audio Visual room of the institution. The Chief Guest for the function was Shri. Vishwajit P. Rane, Minister of Department of Health, Craftsmen training, Women and Child development, Government of Goa. 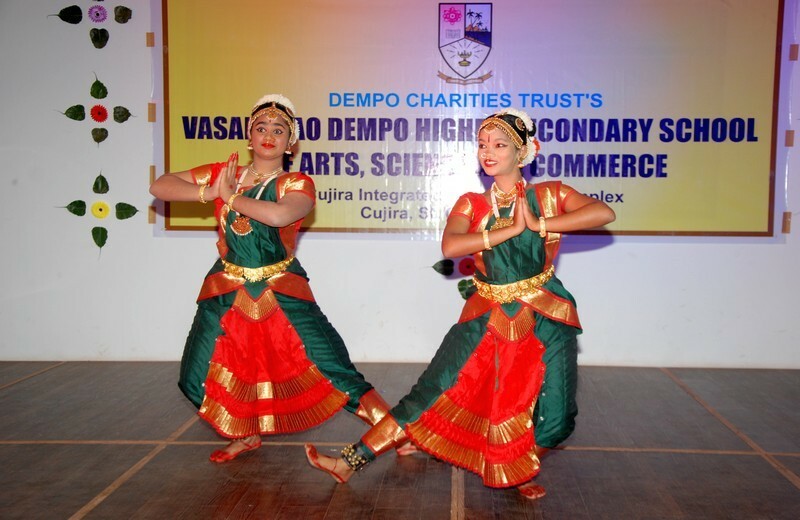 The Guest of Honour was the Chairman of Dempo Charities Trust, Shri. Srinivas Dempo. 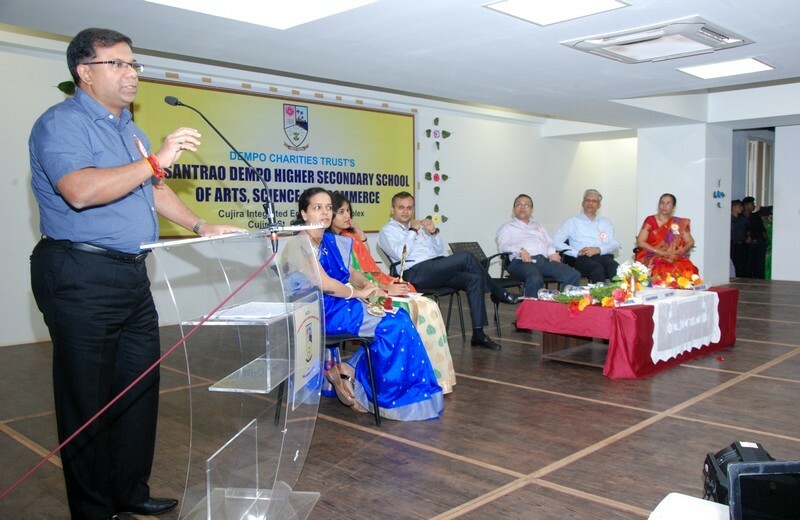 Speaking on the occasion, the Chief Guest said that it was an emotional moment for him to come to his alma mater. He urged the students to be focussed in every endeavour, not to limit themselves and to have long term goals in life. He called upon the teachers to look beyond syllabus, involve students in team work, motivate and boost to give students the required exposure. He lauded the Dempo family for always being committed to the society. In the welcome address, the Chairman expressed that maintaining quality in health and education is a big challenge. He appealed to the parents to be open minded in letting their children choose a field of their choice. 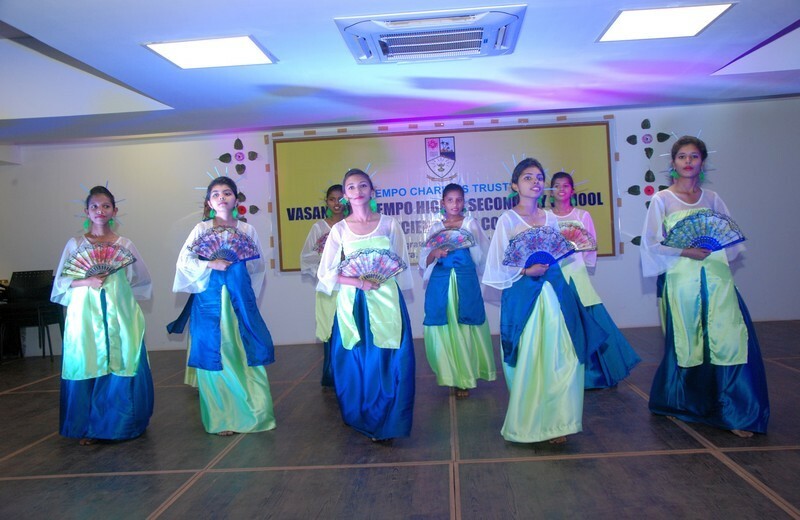 He also emphasised on the non-scholastic achievements of the students and motivating them to take up performing arts. 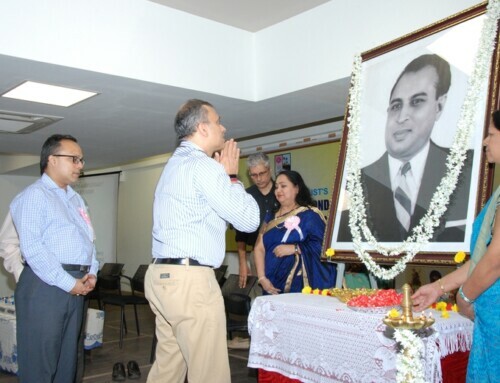 He called upon the teachers to arouse interest and curiosity in the students. The prize winners were felicitated at the hands of the Chief Guest, Guest of Honour, Trustee of Dempo Charities Trust, Shri. Yatish Dempo and Administrator of Dempo Charities Trust, Shri. Rajesh Bhatikar to acknowledge the achievements of the students, both in academics and non-scholastic achievements. The toppers of the institution who excelled at the March 2017 HSSC Goa Board examination were felicitated along with other meritorious students. The best student award in the Arts stream for the academic year 2017-18 was bagged by Miss. Pallavi Betkikar, while the best student award in the Science and Commerce stream was bagged by Miss. Saavi Milind Natekar and Miss. 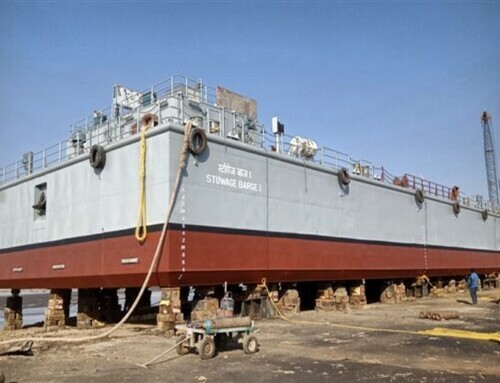 Shivani Bhide respectively. The best Sports boy for the year 2017-18 was bagged by Mast. Shawn Aranjo from XII Commerce, while Miss. Kriesha Naik from XII Arts, won the best Sports girl. Mast. Vishwajit Rane excelled as the best N.S.S boy volunteer, while Miss. Mahima Velingkar won the best N.S.S girl volunteer for the academic year 2017-2018. Earlier, the Principal, Mrs. Rupa Prabhu Khope, presented a report of the school’s activities for the year 2017-18, highlighting the academic and non-scholastic achievements of the students. The Vice- Principal, Mrs. Rekha Keni Guralla, introduced the Chief Guest for the function. The General Secretary of the Students’ Council, Miss. Pallavi Betkikar, proposed a Vote of thanks, while teachers, Mrs. Edna Da Costa, Mrs. Sheetal Parab, Mrs. Shubhada Bandodkar and Mrs. Antima Satarkar compered the formal function. 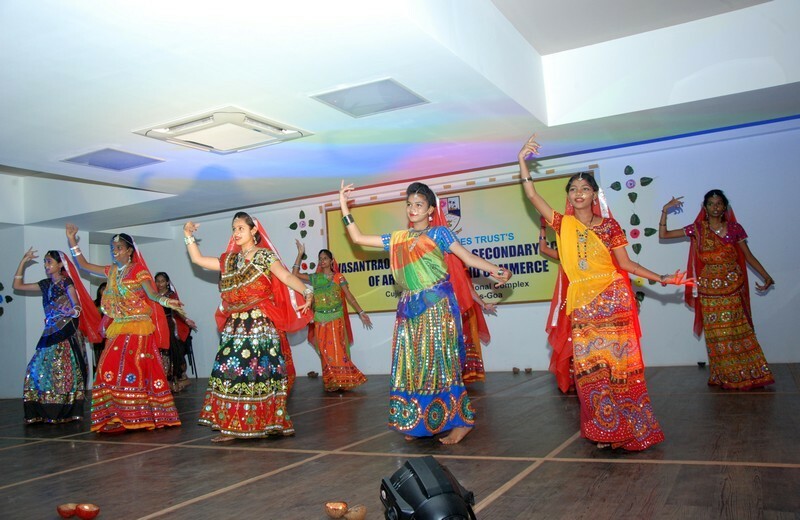 The Prize distribution ceremony was followed by a variety entertainment programme presented by the students on the theme ‘Universal Culture’ conceptualised by the Principal, Mrs. Rupa Khope and choreographed by Mrs. Gauri Shaikh. 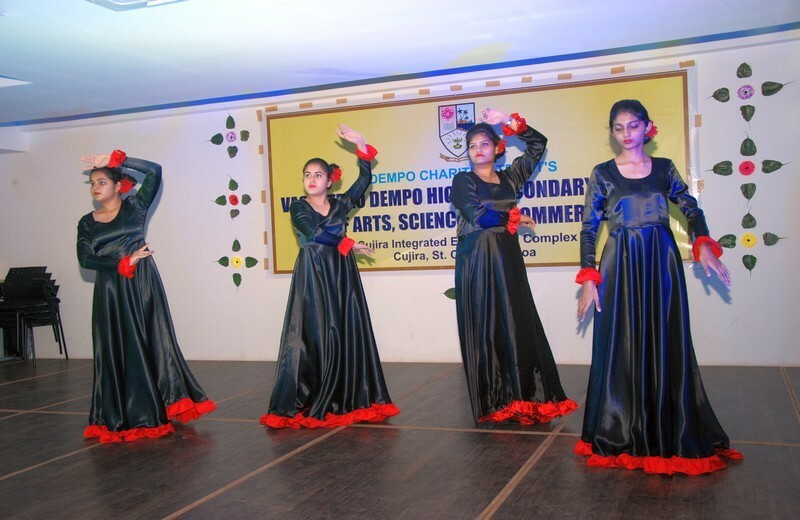 The programme was coordinated by teachers In charge of the Students’ Council, Mrs. Supriya Angle, Mrs. Shubhada Bandodkar and Mrs. Antima Satarkar. The GS, Miss. 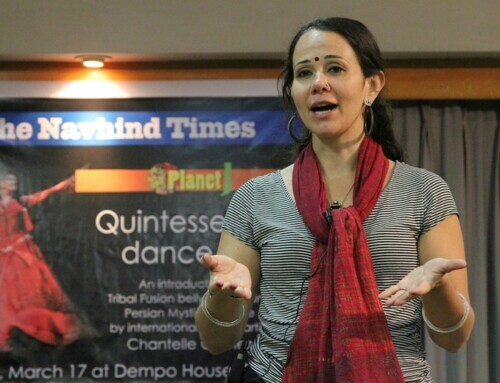 Pallavi Betkikar, was the compere for the entertainment programme.